We Help You Skyrocket Your Auction Profits With Online and Mobile Auctions! 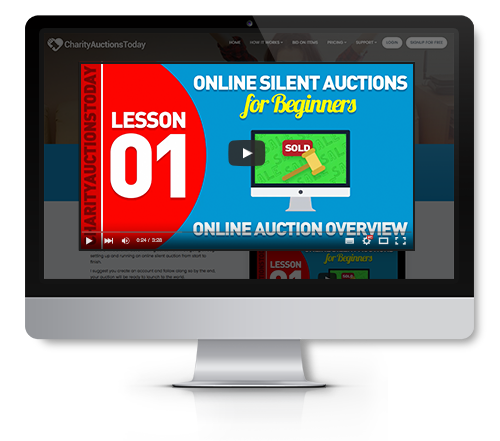 Skyrocket Your Auction Profits With Online and Mobile Auctions! 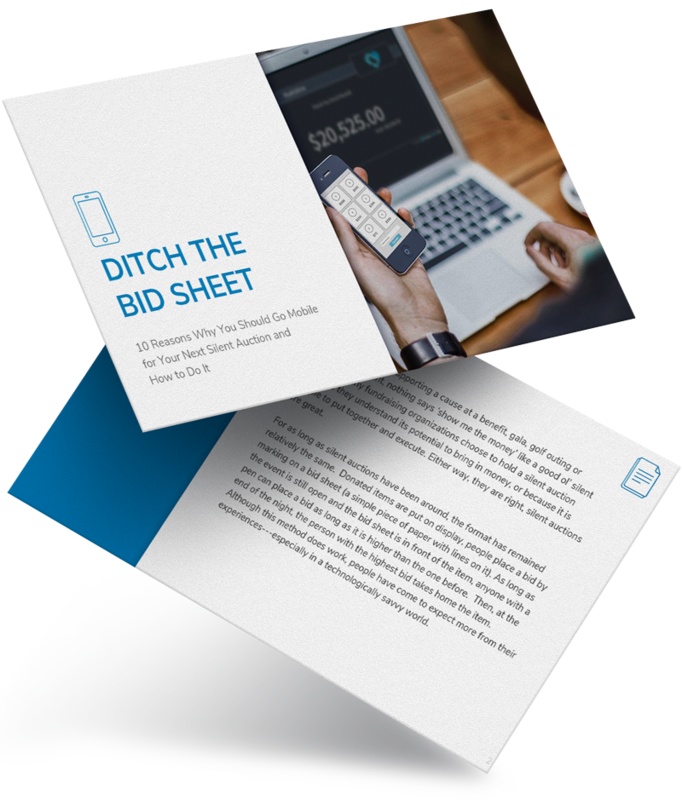 Increase bids by 50% or more. Add 1 to 1000 items. Easy design editor with 12 pre-designed themes. Dedicated account manager assigned to every auction. Manage everything in the cloud. Free up your time so you can enjoy the auction. We hold your hand to make sure it’s successful. Your committee will think you’re a ROCK STAR! One auction for all devices. Built in social media share buttons. Fun the auction through your Facebook page. Check out from your phone or computer. End of auction detailed reports. You own all the data collected. 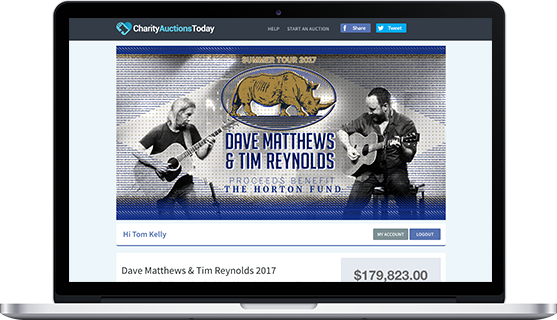 Auction dashboard to manage everything. 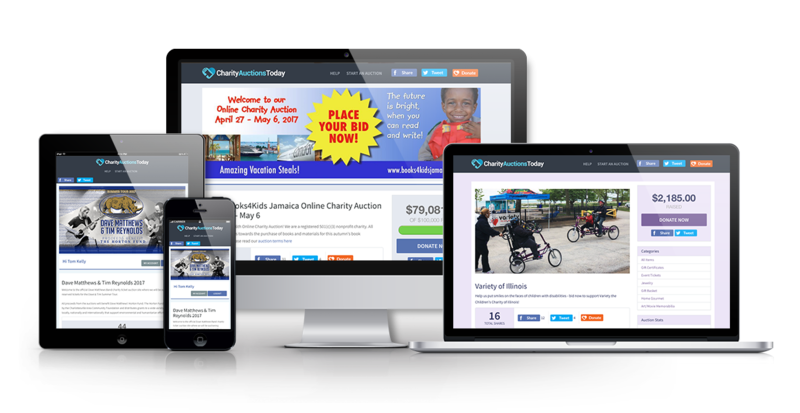 Get full access to CharityAuctionsToday and start building your auction.